Hong Kong is the most popular city in the world, followed by London, Singapore, Bangkok and Paris, according to new research using the most up to date figures available. The city had 27.7 million international visitors in 2014, up 8.2%, way ahead of second ranked London at 17.3 million foreign visitors, a rise of 3.6%, the Euromonitor study shows. 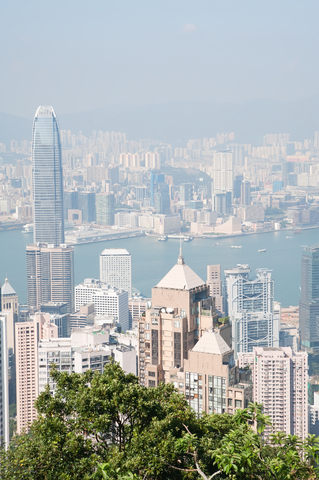 Hong Kong has topped the rankings for six years in a row and London has now overtaken Singapore and Bangkok with 17 million and 16.2 million visitors from overseas respectively. While numbers visiting Singapore rose by 0.4%, numbers arriving in Bangkok fell by 7%. The data also shows Paris has 14.98 million overseas arrivals, a fall of 1.9%. One city that is becoming more popular is Istanbul in Turkey which recorded 11.8 million overseas arrivals, a rise of 13.2%. Shenzhen saw a rise of 8% to 13.1 million and Macau a rise of 7.4% to 14.96 million. London was the top destination in Europe and the only UK city in the top 100, but Euromonitor warned its growth is at risk of stalling. “London is one of the most iconic cities in the world. The resounding success of the London Olympics in 2012 has boosted visibility and popularity even further,” said Wouter Geerts, travel analyst at Euromonitor. “However, with London airports nearing capacity, the capital risks losing out to European rivals. To remain competitive in the international city destinations landscape, ensuring connectivity and innovation is key,” he added.